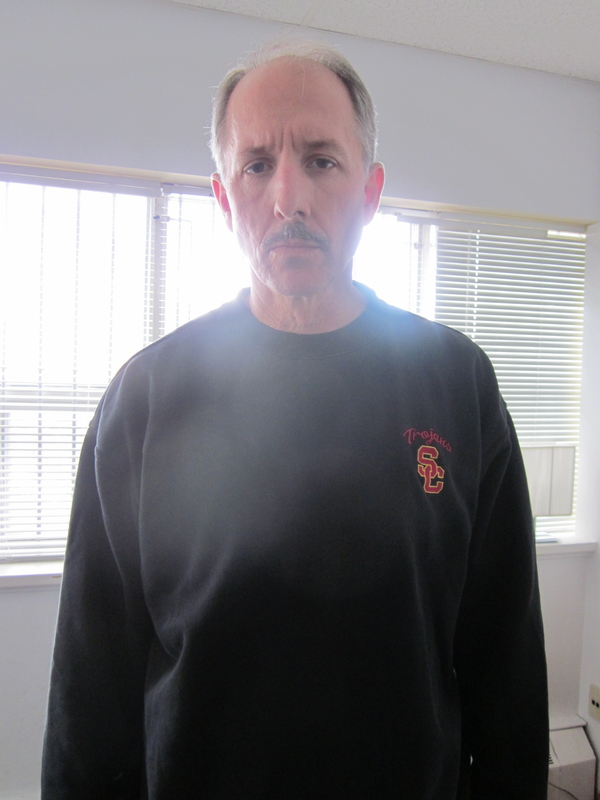 Joseph Mallozzi's Weblog: May 16, 2011: Fear Not the Cons! The SG-1 Sixth Season Wrap-Up! Transporter: The Series Pre-Production Update! May 16, 2011: Fear Not the Cons! The SG-1 Sixth Season Wrap-Up! Transporter: The Series Pre-Production Update! I’ve had some mighty crazy experiences in my life. I’ve partied to excess, dated a few lunatics, sampled the deadly fugu. 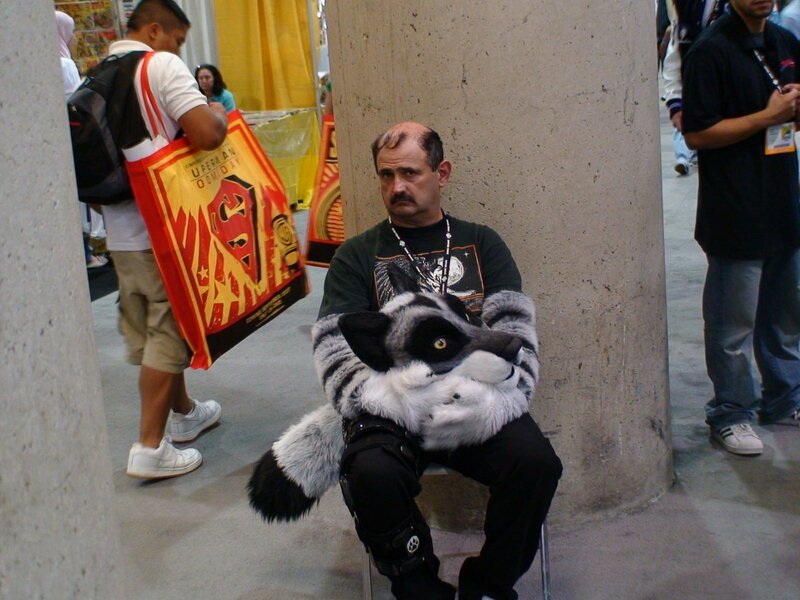 But it all pales in comparison to the daredevil exhilaration of attending my very first fan convention. After being roasted alive online, I was fully expecting similar in-person treatment at the hands of some angry weekend Jaffa but, to my surprise, the fans I met ranged from indifferent to incredibly sweet. Not a deranged one in the bunch. Even the few attendees who disagreed with some of the creative decisions we’d made on the show were very polite and respectful. No Daniel Jackson impersonators pelting me with rotten fruit. No furling wannabes demanding answers to the show’s mystifying minutiae. Not even an overexuberant Nox cornering me with a pitch for a future episode. It was all very civil, very friendly and, dare I say it, most enjoyable. The organizers of the event, Gatecon (the first and, in my humble opinion, best) were equally gracious in hosting us. Of course the fan-run, homey Gatecon was in marked contrast to the big studio extravaganza that is Comic Con. I attended my first Comic Con in the show’s sixth season. I flew to San Diego with my wife and, as we sat in the traffic, waiting for a light, I glanced over at a “Haunted Tour Bus” and jokingly suggested we purchase a couple of seats. As expected, Fondy nixed the idea. The very thought of walking some spirit-infested hall was enough to make her skin crawl. I chuckled, the light turned green, and we motored on, finally arriving at our destination – an old, turn-of-the-century boutique hotel. As we stood at the reception, checking in, I glanced over and watched as the same “Haunted Tour Bus” pulled up and released it’s ghost-lovin’ horde. The tour went right by us, through the lobby lined with white-eyed Victorian dolls, and up the rickety elevator to, I assumed, the cold spot where the grisly murder was committed – no doubt the bed we’d be occupying that night (“Oh, sorry to disturb you. Won’t be long. Just wanted to show everyone the butchering nook. Thanks. Nighty-night!”). Needless to say, Fondy didn’t sleep a wink all night – and ensured I didn’t either. Every five minutes it was: “Wait! What was that?! Did you hear that?!! The next day was our panel and, by today’s San Diego Stargate panels, it was fairly light – just Corin Nemec (SG-1’s Jonas Quinn) and myself. Oh, and then MGM President Hank Cohen who volunteered to act as moderator but actually ended up fielding almost every question thrown our way except for one related to the average running time of an episode of Stargate (Oh, about forty-four minutes). Afterwards, I walked the floor, picked up a bunch of comic books, and lamented the fact it would be too much trouble to lug the Randy Bowen Juggernaut statue I’d been eyeing back home. Great, great time! 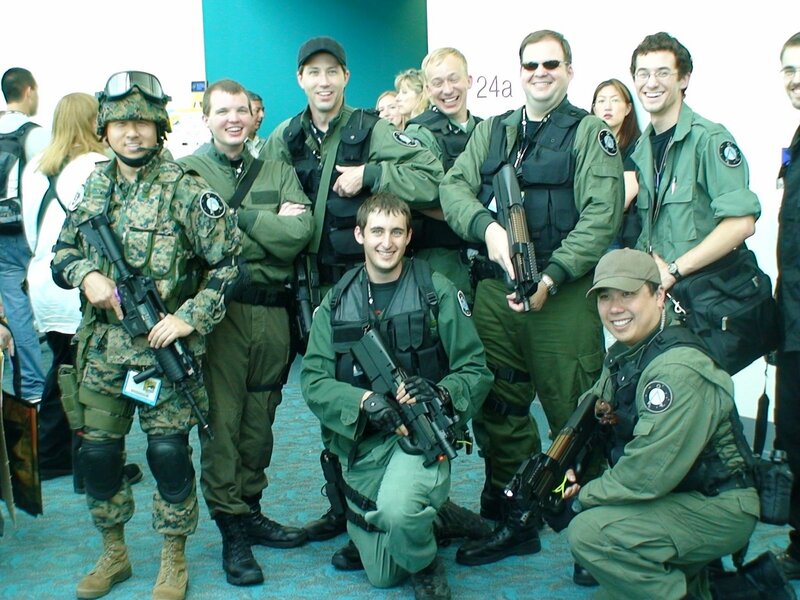 When Paul and I learned SG-1 would be doing a clip show in its sixth season, we lobbied hard and eventually won the opportunity to write it! Juuuust kidding. When we were first handed the assignment, we were less than enthusiastic. But, as we started writing, it became, if not exactly fun, then certainly interesting. It’s Stargate 101 as the series deals with an issue that would plague it for years to come: How the hell can the government possibly keep the existence of the Stargate program a secret? Sure, there were past incidents that required some fast-talking (“Exploding spaceships? No, no, no. Those were Cinco de Mayo celebrations. Er, yes, in November.”), but the apparent crash of a spaceship into the Pacific Ocean was going to be tough to cover up. And so, rather than even try, we come clean. Of course it stood to reason that our allies would be annoyed at being kept in the dark for so long, so Rob Cooper suggested an appearance by Thor, the ever-affable Asgard, to smooth things over (and put the conniving Kinsey in his place). I love the sequence where Kinsey raises his finger to interrupt only to have Thor trump him by raising his finger (shut up) and continuing. Tiny nitpick but, in the opening scene, O’Neill peers through Carter’s telescope and remarks on the fact that he can’t see anything. She points out that, no, he wouldn’t because it’s daytime. Amusing and all if not for the fact that the show had already established Jack as a guy who likes to check out the stars at night through the telescope in his backyard. Was Jack being purposely dense? Perhaps. In fact, as the series went on, O’Neill became increasingly “intellectually relaxed”. After some six years of playing the role, I guess Rick wanted to have a little more fun with the character. And that was fine with us, the writers, since it allowed us to do something we always enjoyed doing – bring the funny. Less so some of the fans who began to derisively refer to the new and improved(?) O’Neill as Dumb Jack. Actor Chris Judge tries his hand at writing with surprising spectacular results. I say surprising because, while I had no doubt it would be a solid script, I was mighty impressed by how good it turned out (this despite the fact that he neglected to include act breaks in his first draft – “I leave that sh*t up to you, m*th*rf*cker.”). From what I remember, Chris really enjoyed the process and was quite proud of the final product. What was this episode about again? This episode turned out to be one of my biggest disappointments of the season. I thought the script was solid but the entire episode rested on the final twist, the moment in which O’Neill hears the horn and calls out to Pierce. It’s meant to be the episode’s big, defining moment but it’s so casually underplayed that it loses any dramatic impact. We’ve got six scripts written, one almost complete, and another five to be broken. Carl Binder rolls into town on Thursday and we’ll spend the rest of this week (and next) spinning stories. Laisse les bons temps rouler! Looking ahead, our Pink Pre-Production Schedule (please ignore the Blue) looks like this: Camera Test Technical Meeting, Beam Meeting (Asgard? ), Update Meeting, Interviews, Conference Call, Summit! And not longer after, shooting begins. Andy (Mikita) reports that the Audi’s will be arriving in Toronto shortly. Expect a big announcement on the casting front sometime this week. Ish. Today’s entry is dedicated to birthday blog regular Elminster! Previous Article May 15, 2011: The Apocalypse Approacheth! 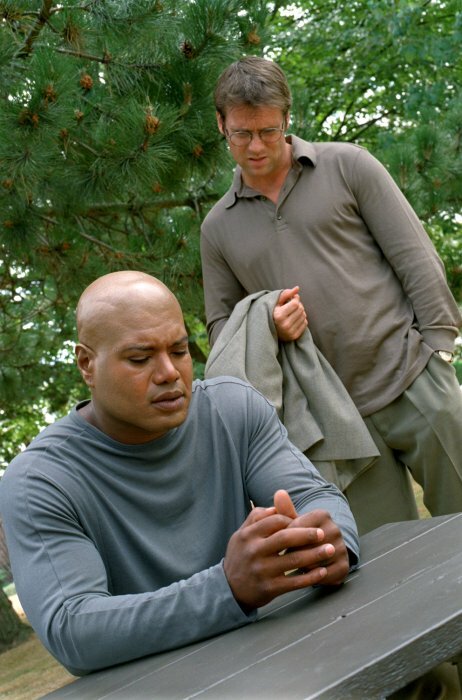 More SG-1 Season 6 Memories! Another Monster Mailbag! Next Article May 17, 2011: Stargate: Universe Season 2 – The Blockade Bubble Bath Sequence! And Another Mucho Mailbag! Reminding you about the SGU Soundtrack! Did one of us disappoint Carl in some way? He seems disappointed in us, the blog readers. Or maybe that room’s window treatments. I don’t read expressions well. 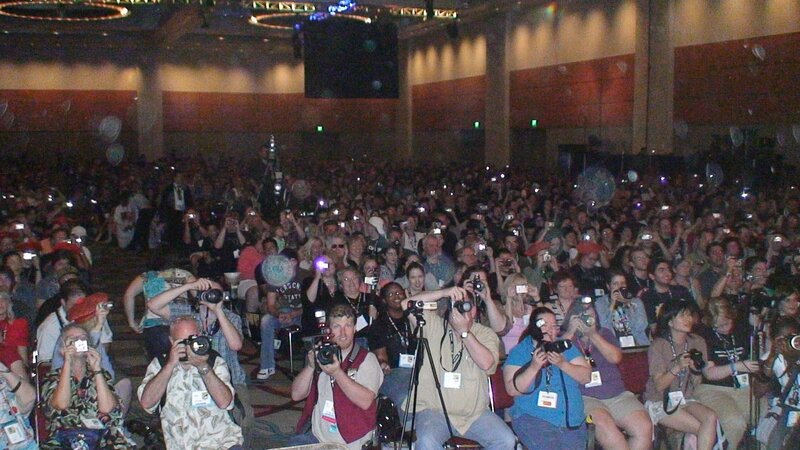 Wow, your first Comic Con! That sounded interesting. I went with my brother many years back. It was quite the experience. My favorite eps out of this batch were Disclosure (especially Thor’s line), Changeling, and Full Circle. Those were some good times. Also looking forward to hearing your big announcement about Transporter. The scene with Thor and Kinsey is one top 10 scenes in the franchise. I couldn’t be happier that you mentioned it. Changeling was one of my favorite episodes from the entire series. Chris did an awesome job with it. The reveal of the truth of what was happening to Teal’c was tremendous. I only wish there’d been a good Daniel-Sam episode that season, too. Hell, even Daniel and Jonas got some quality time in the following season! wow, the transporter came together pretty fast. feels like it was just announced as a cinemax show. Hi, I dont usually partake in blogs or comments, but I really wanted to tell you how much stargate has meant to me for the last fourteen years. All the saturday mornings I would look forward to, especially when sg1, sga, and bsg were all together. The good old days! Anyway I loved all 3 but sgu has become my favorite, the hopelessness, the characters, and above all the absolutely incredible mystery of it all. Particularly the structure found in the cosmic background radiation. I could go on and on about whats great about the show. Its really sad to me that it has been canceled when there is so much junk on tv. Best scripted scifi/drama ever I say! So thank you very much for all the enjoyment I have gotten from Stargate. I want to hear about the few lunatics you have dated! Come on Joe, please expound! I’m sure you’ve seen Trekkies ? Those are some messed up people. Thanks for the dedication. And thank you Ponytail. Audis arriving! Casting news! Yay! I don’t get why any SG-1 fans would have an issue with O’Neill being more funny. That’s one of the things we always loved about the series. In any genre shows, the best ones always weave humor into each episode. Whether SG-1 or Lost or X-Files or whatever. Season Six was the first I watched of Stargate. I, like I assume many others did, started watching when the switch to SciFi occurred. I loved it immediately, even if the science confused me as a 13 year old. It has been interesting to read your recollections of the season. Especially the fan reactions to Jonas. I had no idea that Jonas had replaced Daniel at the time. I was even confused at episodes like Changeling because I didn’t really know who Daniel was. Eventually I went back and viewed the first five seasons and learned why people disliked Jonas. I, however, will always think of Jonas as my favorite character from the first episodes I saw of Stargate. On a side note, I like the irony of not knowing what Memento was about. Do the SG fans recognize you by sight? Joe, I have an SGU-related question that’s been bugging me since the pilot. Why didn’t Destiny’s Stargate have a security measure in place like the Earth Iris or Atlantis’ Shield? Was the technology not invented or did the Ancients no anticipated anyone other than themselves gating aboard? Season Six seemed to be filled with many controversies. Like Jonas who was the odd man in (greatly due to the circumstances in which he came to the SG command), I was left with the impression the Corin Nemec also did not fit into the cast nor some of the upper staff, or am I off the mark? I am struck by some of the comments left by some directors. How was it that Jonas holding a mug became such a point of irritation? One commentary mentioned that after a while word came from on High, i.e. Robert Cooper that no mug will be held. That was in contrast to when Beau Bridges came on the scene he often held a mug but no mention was made in the commentaries. Beau seemed to be well liked and very much involved in his character, but occasionally lacked the command presents of Don Davis. I was never one to be on the boards or blogs that might have discussed the demise of Jonas, not to mention the show in Season Seven when I think a lack of interest increased the occasion for the lack of some details, e.g Jonas and his coworker. In Forsaken, there was one comment of taking pleasure in Corin Nemec’s face plant into the sand. Speaking of conventions, a couple years ago my girlfriend and I were in Seattle when they were having there annual animi convention. Did you ever make the jump down to visit it? I wish I had made it to the Comic con or Gatecon. Funny you mentioned when did Peter Kelamis appear in SG-1, it reminded me when I went to see Atlas Shrugs and had to bite my tongue I thought “hey that is Anteaus from the Nox!” Did not Peter also play the sports announcer in Space Race? In watching “Origin” on syndication yesterday, I was struck by how funny that was. The humor was well written and the actors pulled it off quite well. Yet, here was a serious under tone. That strikes me as different in SGU in that I do not remember being much humor. Was that a conscious choice between you and the other writers and producers? 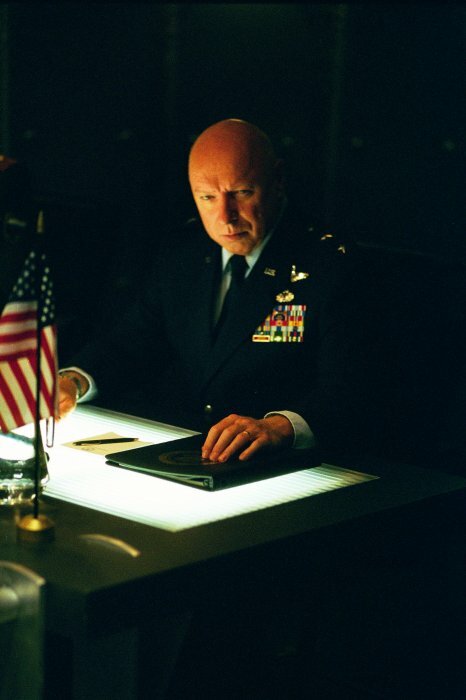 Like the stage lighting SGU seems to overall dark and brooding with a great deal of interconnecting tension. And Carl, laisse les bons temps rouler, indeed! Why the sour puss? Do you haz a sad? Hi Joe, “Changeling” was one of my least favorite episodes. I found it disturbing on so many levels, but hey, that’s just me. Where there any plans to follow up on the “Other Rush” who sat in the chair in Twin Destinies? The door seemed to be left open for him to interact either through Destiny, or in an Acended form. but the twlight fans make us, i mean them, look normal. i can’t imagine sleeping at a maybe haunted hotel. i’d probably be awake all night too, but would be freaked out in silence & not bother anyone about it. what was memento about anyway? i always felt jack played dumb because he liked sam to explain things to him. asking about if there were future plans for jonas if he stayed beyond season 6 again. because that’s one of the things i (& i’m sure others) have wondered about. i wouldn’t mind hearing about the “lunatics.” feel free to change names, ages, occupations & hobbies of said lunatics to protect their identities. Then the end of the world can happen on Saturday and I can die in peace. Guess I need to read up on earthquake protocol being that I’ll be in California for 36 hours next week. Never been in an earthquake. Tornado, hurricane, flood, blizzard, but no earthquake. Thanks for sharing over these past 3-4 days some cool tidbits about SG-1 that I 1) didn’t know before or 2) have forgotten as part of my ongoing senility of aging. I have so many favorites on SG-1 starting from season 4 and then more in season 5, and season 6 even more, etc. Why does Carl look so sad? Are you going to get to test-drive one of those Audi’s? I know you own one, but are these special in any way? This comes from someone who has never seen any Transporter movies. I guess this means I need to put them in the queue. With acces to Asgard technology (and their long range scanners hyperdrives) did SGC ever considered scouting nearby galaxies (perhaps by some automated probes) for Icarus class planets? If SGC got the supply link from Earth could they possibly sent components for Asgard core which could solve a lot of problems for them? And how would Destiny fare in battle if confronted with pre-Anubis hattak vessel?